Autumn is a good time to prepare your little home garden (even a pot garden) for spring. Why? Because it allows you seeds to sleep for a long time until it wakes up to the warmth of the spring air. In this part of the globe, the best times to plant bulb flowers like tulips, crocusses and narcissus is during the cold months between September and December. By April and May, you could expect your flowers to bloom. We planted three tulip varieties: Triumph Tulpen, Indian Summer and Farbenrausch. I guess it a blessing in disguise when my daughter insisted that we plant as early as now. Yesterday, we planted our tulip bulbs, with the little insisting that she put the bulbs in herself. Thankfully, we live four floors up so there is no risk of snails creeping up into the balcony. With this wet autumn, you could always expect these naked snails (they don't carry their shells) to slither their way into pavements and terrace steps. Otherwise we would have to take action and do our own "do it yourself pest control". She is so into it! 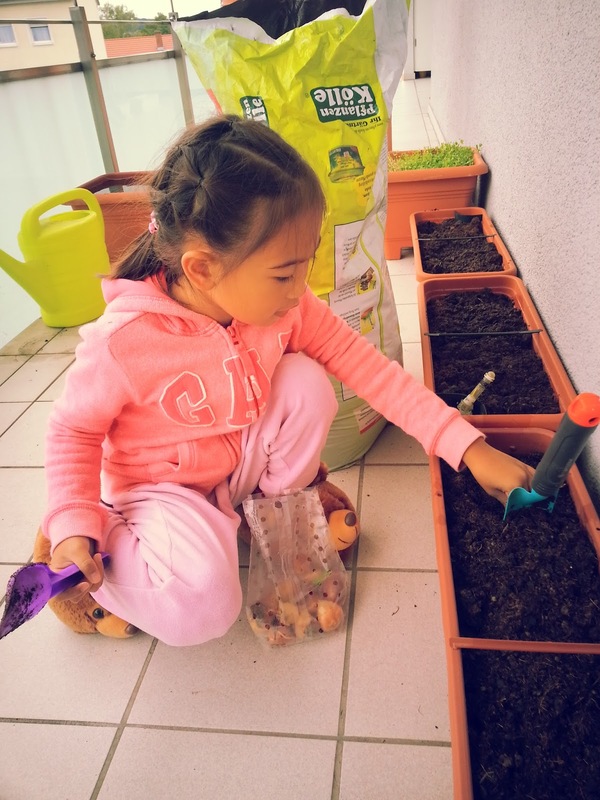 She even skipped Kindergarten so she could plant the bulbs herself! 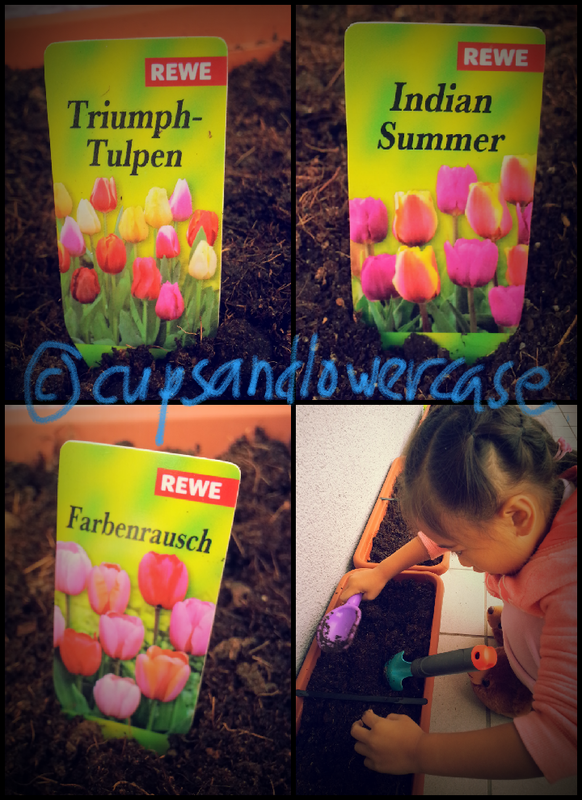 I just hope the flower bulbs will grow and transform into beautiful tulip blooms. Now I have something to look forward to in Spring: a burst of colors from our little pot garden in the balcony. I don't have a green thumb so I never really liked gardening. But looks like your girl enjoyed it. That's really a nice bonding moment with your little one and by just looking at the photo above, I could tell how she enjoyed that moment. Your little girl simply loves what she's doing! I bet she's also wishing everything will bloom early, and I know she'll be all smiles when that happens.